The Exilis Ultra™ is an award-winning scientifically and clinically proven treatment to help you contour your body, reduce stubborn pockets of fat and tighten your skin. 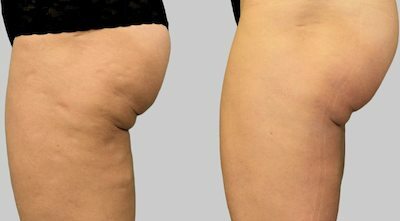 It is clinically and scientifically proven in the reduction of fat and cellulite without the need for surgery. This is an FDA approved device, which is a safe and effective alternative to liposuction or complicated surgery. The Exilis Ultra™ is the only device using a combination of monopolar Radio Frequency energy, ultrasound to stimulate the breakdown of fat cells and collagen remodelling (for skin tightening), helping to contour the body and face. Using state-of-the-art patented technology, Exilis Ultra uses controlled deep heat to the tissue causing new collagen fibres to produce and tighten loose skin and permanently reduce fat. No needles, scarring or bruising, results will unfold over 2-3 months leaving sagging skin naturally tightened and truly radiant. The treatment is painless and there is no downtime. Generally, a series of 3-6 treatments are required to achieve the desired result. Each treatment takes around 20 minutes, depending on the size of the area treated. 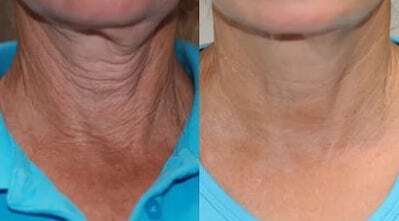 Exilis Ultra™ is an effective non-invasive skin tightening treatment with no down time. The treatment combines the power of radio frequency and ultrasound technology to tighten skin, contour your body, reduce stubborn pockets of fat and enhance collagen and elastin production. The Exilis Ultra™ is an award-winning scientifically and clinically proven treatment without the need for surgery. This is an FDA approved device, which is a safe and effective alternative to liposuction or complicated surgery. Exilis is a non-invasive, nonsurgical device that uses scientifically proven energy waves to heat deep tissue below the surface of the skin. The procedure uses safe radio waves to heat your skin and targeted fat cells. This thermal energy speeds up the metabolic activity of the fat cells causing them to shrink. At the same time it stimulates and strengthens the collagen network which improves skin laxity and texture. We recommend a minimum 3- 6 treatments (one week between treatments). The total number of treatments required will depend on the area being treated, the condition of the skin, age, and desired results. Each area takes around 20+ mins. The treatment is fast, effective and comfortable with no downtime. Results are sometimes noticeable after just 1 or 2 treatments. Although results vary depending on the area of the body treated and the condition of the area, you can expect this to last between 6-12 months after the course is complete. Your skin look slightly red after the treatment. However the treatment is extremely comfortable with no downtime at all. There is no downtime, non-invasive and you can return to normal activity immediately following your treatment. For fat reduction treatments a balanced diet is recommended. Want to discuss this or another treatment?